Symbol of a heart lightened by love. 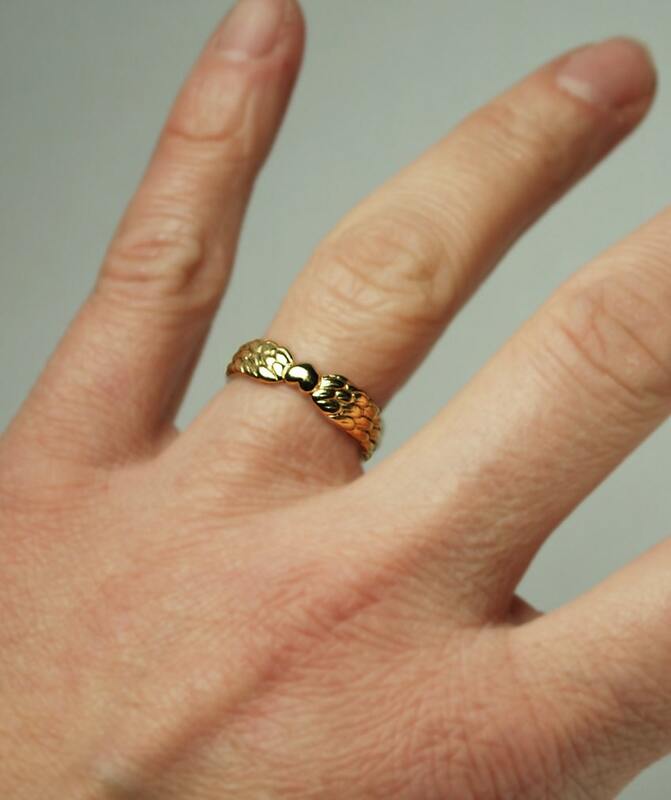 I began sculpting the wax for this ring in 2009 (the year my daughter was born) and finalized it last year in time for Valentines Day. 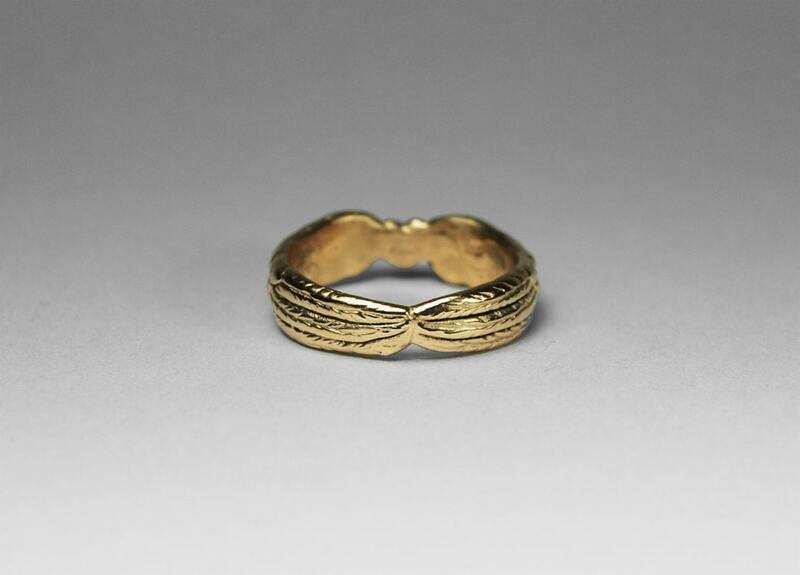 Each ring is cast in solid 10k gold and hand finished by me with care. Great as a gift for someone you love or as a symbol of your own happiness in love. Please contact me if you would like this ring in 10k white gold. 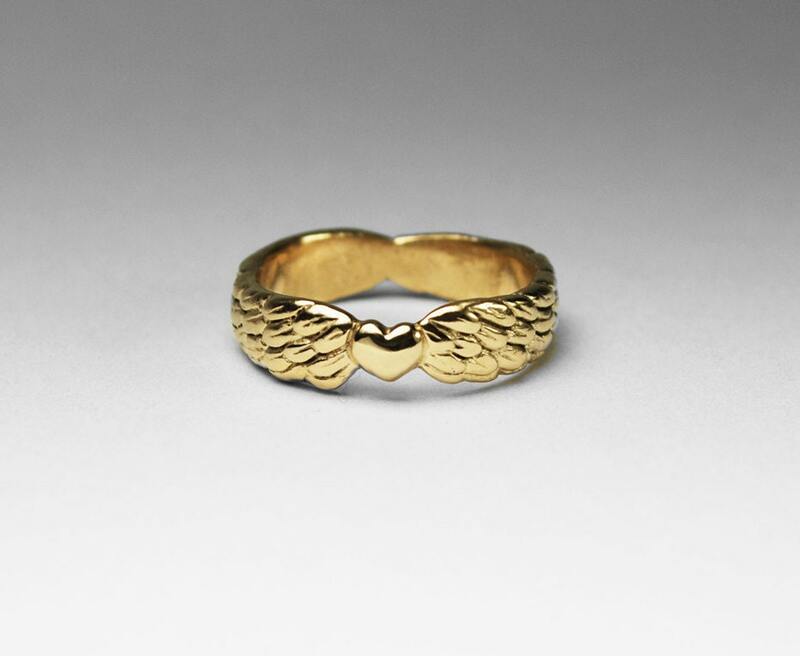 The Solid Gold Winged Heart ring was my second purchase from Jennifer in the last month, and I could not be more pleased. This ring is just beautiful in pink gold. The attention to detail that Jennifer gives to her work truly sets her apart from other artisan jewelers I have dealt with. Highly recommend!